Warner Bros. Pictures’ “Aquaman” has stormed the box office, taking in more than $1 billion worldwide in just over one month since it reigned supreme in its first market, China. The announcement was made January 14 by Ron Sanders, President of Worldwide Distribution, Warner Bros. Pictures Group and Warner Bros. Home Entertainment. In addition to crossing the billion-dollar mark, this weekend “Aquaman,” at $1.02 billion and counting, is now the #2 DC film ever worldwide, behind only “The Dark Knight Rises,” which took in $1.08 billion in its run. “Aquaman” has taken in $287.9 million domestically, and is now also the 2nd highest grossing Warner Bros. film of all time internationally, with $732.4 million to date; the biggest DC film of all time internationally; and the highest grossing Warner Bros. film ever in China, with $287.3 million. In the Philippines, “Aquaman” now has the distinction of being the biggest WB and DC film of all-time, with a cumulative gross of Php 536.4-million, surpassing 2017’s “Justice League” (Php 526.8-M). From Warner Bros. Pictures and director James Wan comes “Aquaman,” the origin story of half-surface dweller, half-Atlantean Arthur Curry that takes him on the journey of his lifetime—one that will not only force him to face who he really is, but to discover if he is worthy of who he was born to be…a king. The action-packed adventure spans the vast, visually breathtaking underwater world of the seven seas, and stars Jason Momoa in the title role. 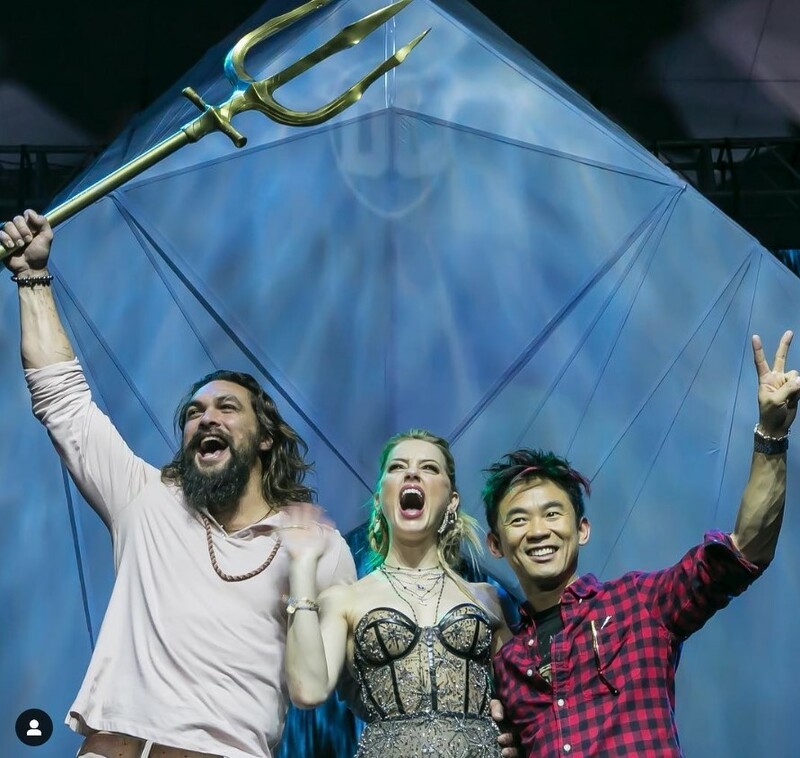 The film also stars Amber Heard as Mera, a fierce warrior and Aquaman’s ally throughout his journey; Oscar nominee Willem Dafoe (“The Florida Project”) as Vulko, council to the Atlantean throne; Patrick Wilson as Orm, the present King of Atlantis; Dolph Lundgren as Nereus, King of the Atlantean tribe Xebel; Yahya Abdul-Mateen II as the revenge-seeking Black Manta; and Oscar winner Nicole Kidman (“The Hours”) as Arthur’s mom, Atlanna. Also featured are Ludi Lin as Captain Murk, an Atlantean Commando, and Temuera Morrison as Arthur’s dad, Tom Curry. Wan directed from a screenplay by David Leslie Johnson-McGoldrick and Will Beall, story by Geoff Johns & James Wan and Will Beall, based on characters created by Paul Norris and Mort Weisinger for DC. The film was produced by Peter Safran and Rob Cowan, with Deborah Snyder, Zack Snyder, Jon Berg, Geoff Johns and Walter Hamada serving as executive producers. Wan’s team behind the scenes included such frequent collaborators as Oscar-nominated director of photography Don Burgess (“Forrest Gump”), Wan’s five-time editor Kirk Morri, production designer Bill Brzeski, and visual effects supervisor Kelvin McIlwain. They were joined by costume designer Kym Barrett and composer Rupert Gregson-Williams. Warner Bros. Pictures Presents a Peter Safran Production, a James Wan Film, “Aquaman.” The film has been released in 3D and 2D and IMAX, and is distributed worldwide by Warner Bros. Pictures.